We were not to know what lay ahead on 26 November 2008. We never know what the day ahead will have in store for us anyway. We always hope to have a nice day and get things done, push the goals, and live life to the best. But last year, this date’s night was horrendous. The terrorists had a master plan with five major targets in South Mumbai – two of them being important and landmark buildings of the Taj Mahal Palace and Tower Hotel and the Oberoi (Trident) Hotel. These are not mere buildings. They are historic icons not only for Mumbai but for the entire nation. This was the reason why these were chosen as the targets. Amongst the people at the receiving end of the terrorists’ bullets, there were my professional colleagues. And if you remember, the entire staff of Taj and Oberoi faced the challenge of safeguarding the lives of their guests first, before theirs, and in doing so many brethren lost their lives. Chef Banja, Chef Borris and Chef Kaizad known to me are not with us anymore. My heart goes to their families and everyone else who died facing bullets. We all love life. That is why I would like to say do not nurse any hatred for those who have done these dastardly acts. 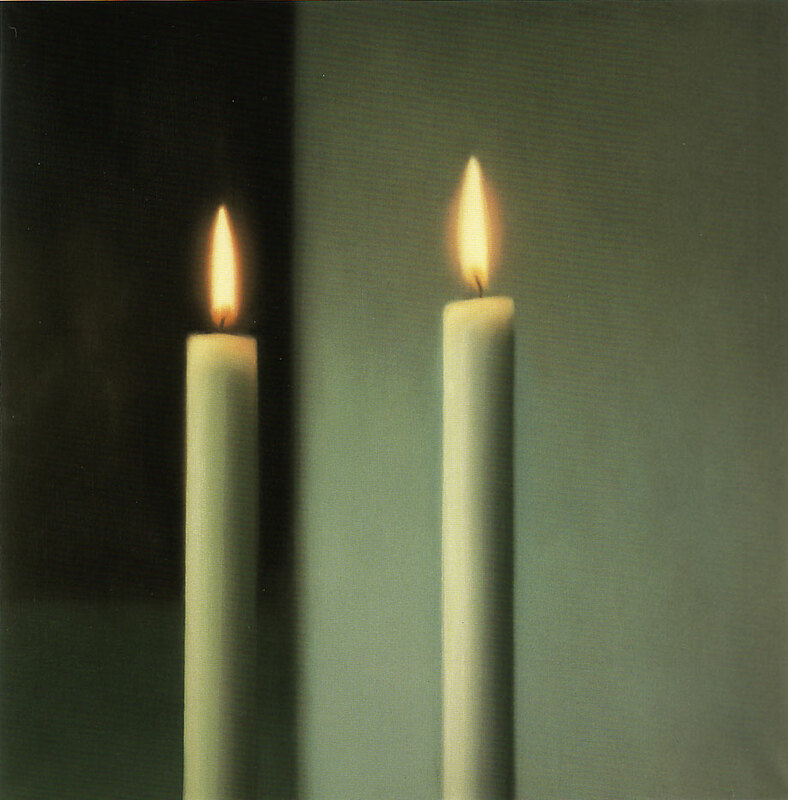 Instead, use your energies to pray – pray that better sense prevails. In such a troubled time, how I wish Mahatma Gandhi was amongst us to guide us. Leaders like him become more relevant in such situations. What are the lessons for us? That though such a situation may rise again, however much is the security and the preparation, the difference has to be in reaction and in response time. Let’s make our contribution, however small, instead of showing complacency and complaining. Local time here and IST has only a difference of 90 minutes (Jakarta is ahead!). This morning began with a cup of the world’s most unusual and expensive coffee called Kopi Luwak. It has a strong coffee taste with a hint of caramel. Yesterday had regular Indonesian food that uses potatoes with as much enthusiasm as Indian food. Check out the simple and tasty Indonesian Potatoes. As it is ‘fruit’ season in Mumbai, there is a lot of pineapple available. 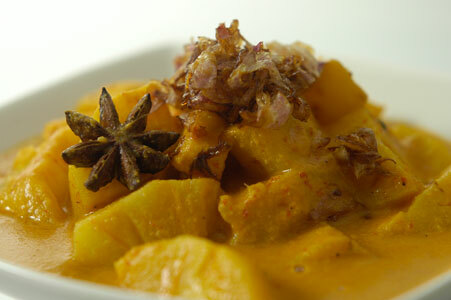 I am recommending this Indonesian Pineapple Curry for you. Coconut looms large in almost all the food here but I thoroughly enjoyed the Pancakes with sweet coconut. 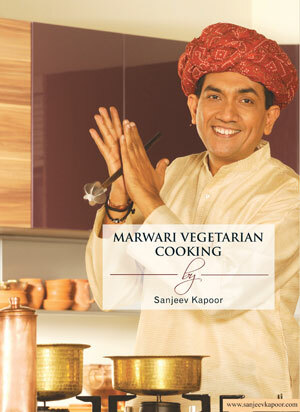 My recently launched book Flavours of the Orient will be able to help you out with more pan-Asian recipes. Tonight am demonstrating the Fish Roll Ghassi which will entail rolling up marinated prawns in fish fillet, wrapping them in foil, steaming them and then immersing them in ghassi. Nice? I think it will be a delight to make for a live audience! More later. Still haven’t been able to tell you much about the Texas food from my Dallas trip! Festival of India in Jakarta, demo of four recipes, what you would like to see in a kitchen diary? Jakarta beckons, and am on the plane tonight. On Tuesday afternoon I would be demonstrating three recipes to a select audience at the Presidential Suite of Hotel Four Seasons there. This is part of The Festival of India, organised by Femina and the Indian Embassy in Jakarta, the capital city of the Republic of Indonesia. Interestingly, Indonesia is a country which is a cluster of more than 13000 islands! There are many ethnic groups that make up the Indonesian population. Can you guess how many different languages would be spoken there? Two hundred! I have read up about the places of interest and Taman Mini Indonesia Indah – Beautiful Indonesia in Miniature Park does sound a must see. After the demos of Prawn Balchao Golgappe, Kachche Murgh ki Biryani and Shrikhand with Stewed Apricots on 22nd I will also be doing a Fish Roll Ghassi on 23rd for special invitees at the hotel’s Coffee House to be followed by an interactive session. I have been waiting for your responses regarding what you would like to see in a kitchen diary? 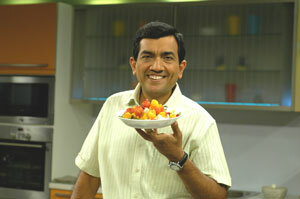 You can post me your suggestions at the earliest on enquiry@sanjeevkapoor.com marking your mail as KITCHEN DIARY. Looking forward to it. Flying back home soon and I have had a good time taking in the sights of Dallas. Far off place and guess I miss my family the most at these times! The whiff from my trial kitchen claims a lot is happening…yeah, my radar shows that loads have been made with my mother’s help for the new book in the making…Mom is totally excited about getting all her recipes perfected and documented. My research team loved the way she made the Mohanthaal so easily. And also the koftas with bhen and then the lovely colourful Quick Pressure Cooked Vegetables! Actually, the days of yore had a lot of mincing and crushing to do but this yug loves the ready to eat and fancy cookware. Example is the silicone lid from Ballarini that is labelled the ‘best buy’ on my site. I am going to tell you more about this at a later date. 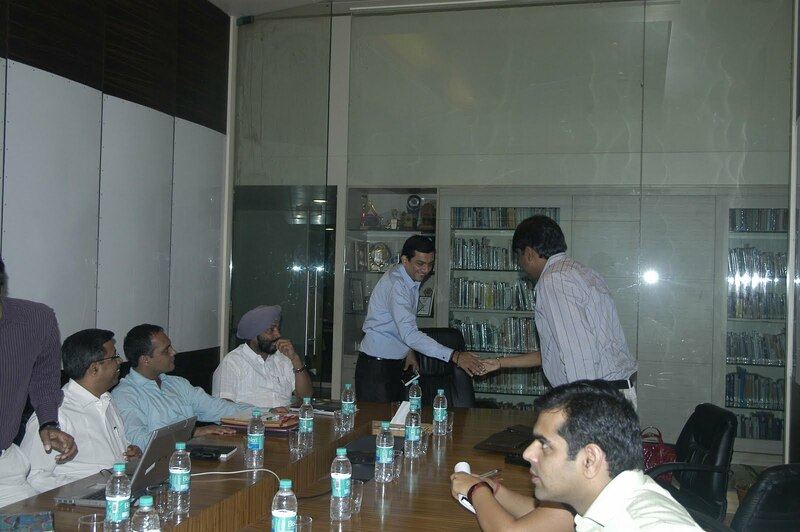 Meeting the team for the finalisation of the magazine content the moment I am back in office. 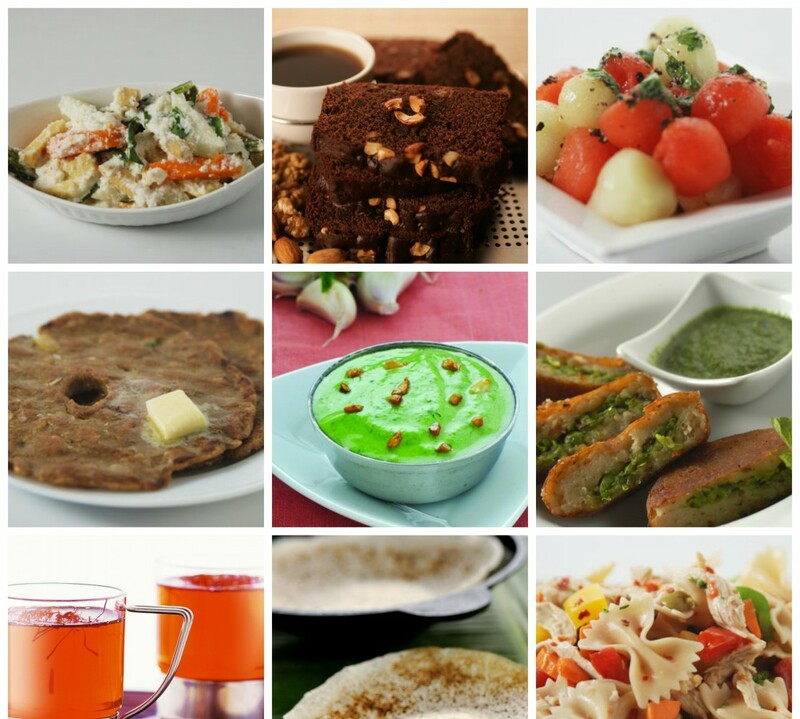 So a lot awaits…but just wondering if there will be any Mohanthaal left over for me to taste too! Talk about crowds! Here I am at London Airport on way to Dallas and would you believe it! A queue exists for the showers! I think I am still in the Q world that is my Mumbai…Jokes apart, looking at all these fliers I think the economy has picked up. My talk at yesterday’s function on World Diabetic Day had the following don’ts for diabetics: no alcohol, tobacco, maida, sugar, fried foods, rich dairy products like paneer and cream, red meat, soft drinks and mithai. Tea and coffee in moderation. The dos? Vegetables, fruits and salads with low-oil dressing. Another must do. 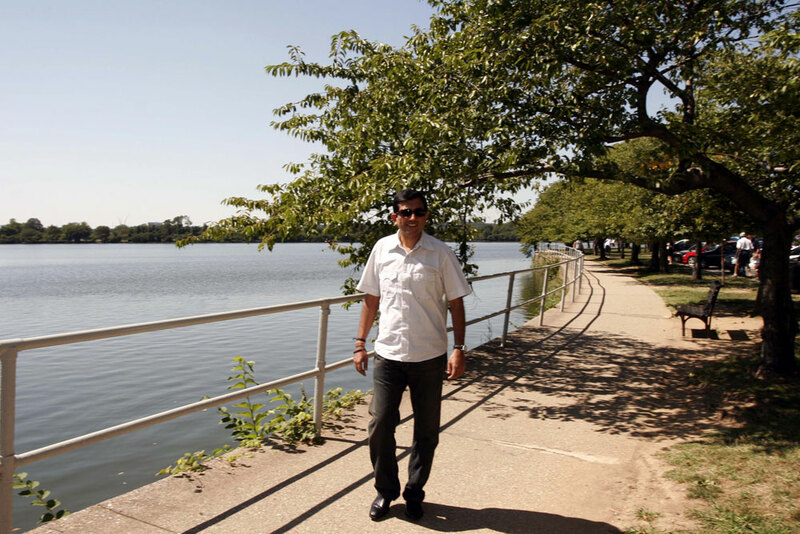 Daily brisk walk – do it as if the doctor has prescribed it. To make things better, fit in an exercise regime too. 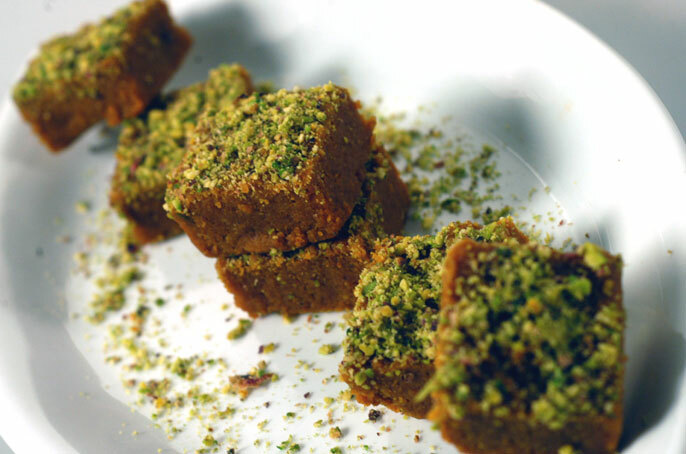 As always, it is my pleasure to create new avatars of some recipes. As I have just put a NO tag on fried foods, how about a Baked Samosa to make up for it? So while you bake, I am on flight to Dallas.